It’s a good day for human rights law because the Grand Chamber of the European Court of Human Rights has today delivered its judgments in Al-Skeini and Others v United Kingdom, Al-Jedda v United Kingdom and Bayatyan v Armenia. In all these cases, the applicants have now won, after losing everywhere else on the way to the Grand Chamber. I, for one, did not necessarily expect that. 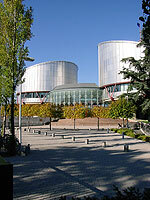 – in Al-Skeini the Grand Chamber very quickly demolished the reasoning of the House of Lords (and the High Court before it) in holding that the European espace juridique of the Convention (as mentioned in para 80 of Bankovic and Others v Belgium and Others) was in no way a limit to the extraterritorial application of the ECHR. This is clearly right. I do not begin to believe that the Court was influenced by my article on this question (the works of Ralph Wilde and Marko Milanovic may be another matter), but it is good to be proved right by high authority. – also in Al-Skeini, the Court found that the UK had had effective control for the purposes of Article 1 because, as an occupying power, it had exercised some of the powers of the local state. The Court is not entirely clear whether it applied the model of ‘jurisdiction over territory’ or of ‘jurisdiction over a person’, but it seems that it was the latter, if somewhat curiously set in a general situation of some control over territory. – still in Al-Skeini, it is regrettable that the Court has not followed the clear line taken by Judge Bonello in his – beautiful! – concurring opinion. It has spoken of ‘effective control’ as the decisive matter, but in rehearsing other bases of extraterritorial application has stuck to the strange view that the powers of diplomatic agents and the like under general international law were somehow decisive as well. This should be a matter of control as in all other cases. – in Al-Jedda, the Court simply read down the Security Council resolutions that were said to have authorised the applicant’s detention. In doingso, it quite properly approved a principle of construction by which SC resolutions should, where possible, be read to comply with human rights law. Only Judge Poalelungi found this impossible. The majority avoided the Article 103 point, but the sole dissenting Judge would have followed the House of Lords on this matter. – finally, in Bayatyan, the Court ruled in favour of a right of conscientious objection under Article 9 of the ECHR. It overruled the (small) Chamber and a good body of Commission case law in holding that Article 4 (3) (b) had nothing to say about this. This meant that the interesting methodological point about the limits of the ‘living instrument approach’ in the face of clear implications from the wording (as to which see this previous post) did not arise. Pingback: European Court Decides Al-Skeini and Al-Jedda « EJIL: Talk!